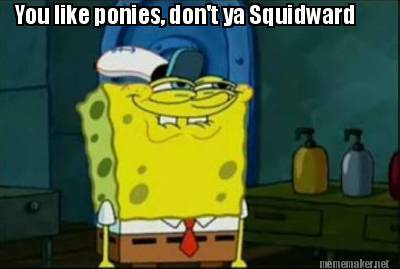 Spongebob and Ponies. Yet another meme. Wallpaper and background images in the Windwakerguy430 club tagged: photo. This image reminds me of Peter, when he pervertly says "It's not Lois. It's not"